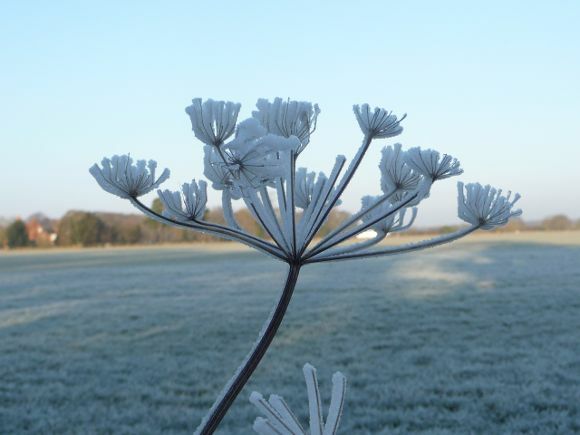 My photograph for 2015 was of rime frost on a plant. A simple wintery picture I took en route cycling to work. The plant appears to be a type of umbellifera called a pignut. The border was a duplicate of last year's.